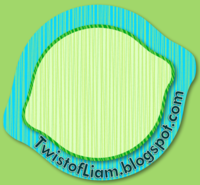 Teaching with a Twist of Liam: Flipping out! Have you heard of this??? I will be the first to admit that I had never heard tell of it before but I am comforted by the fact that as I talk about it with fellow teachers and management staff, they hadn't either. I might even add that they are almost as excited about it as I am (or else they are simply humouring me until I let them be)! A "flipped classroom" refers to various approaches to teaching but one common theme amongst most applications of the name is that the lessons are delivered in a pocast/video/tutorial-esque manner. My understanding is that the "learning" happens out of the class, while the application of the knowledge and skills is nurtured in class, rather than as homework. I am really excited to be teaching English again next year and have some BIG ideas for how I will incorporate this into my Literacy Passport. If I were to pick a super overarching theme for my class next year, it would be something along the lines of "Developing Independence". Above all, I want my students to be able to seize control of their learning pathway and excel. Like I said, BIG IDEAS and I can see this as a perfect compliment to that direction. So, have you heard of a flipped classroom? Have you used it or seen it in operation? Let me know what you know! So I can go into this better prepared. I have heard of Khan Academy before and I think it is FANTASTIC. Unfortunately most of my kids don't have internet at home and are too young to get at this themselves. However, I think it is great you get to do it. Wow, I haven't seen this before and it looks extremely interesting! Like Ms. M, a lot of my students don't have computers at home but this does make me think of ways I could do this in the class--it would be great to have certain lessons on video so that they could be referenced again if need be. Thanks for sharing this, it really has me thinking!